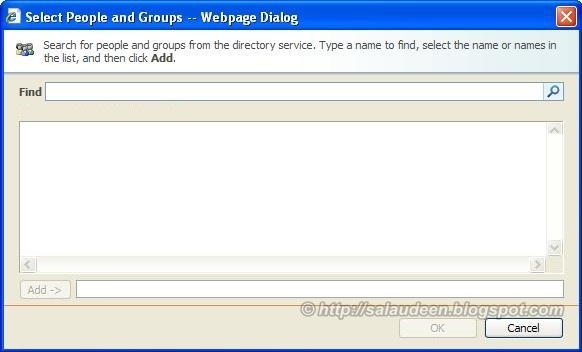 Home Active Directory People Picker SharePoint SharePoint 2010 People Picker not Showing All Users from Active Directory Domain? People Picker not Showing All Users from Active Directory Domain? In a Sandbox, Installed and configured SharePoint. Everything works great, except the People Picker. Problem is: People picker didn't show any user from active directory, However it showed me the users from my local sandbox. Verified whether the Sandbox is joined to the domain. Yes, It is. By default, People picker should show accounts from AD where the server belongs to. It also will get the users from Two-way-Trusted domains. (And of course, from the site collection's "User Information List" as well.) Additional configurations are needed in case of Configure People Picker in One-way-trusted domains. But here, Application Pool account is the culprit: The application pool account is the one which pulls users from AD to People Picker and in my case, the application pool account was a local account, not a member in AD. App pool id must be a Domain user! Well, After changing the application pool account from local account to the domain account, able to get the active directory users in People Picker. Other things to check: Alternate access mappings and check if any custom people picker properties are set. BTW, If you want to restrict people picker to get users ONLY with in the site collection, You can set the property peoplepicker-onlysearchwithinsitecollection ! How to Hide User Names in SharePoint Survey?